Yoga asanas are the simplest and the easiest way to reduce our excess weight and to meditate our body and mind. The ancient practice types of yoga asanas provide a wide range of mind and body benefits, including other benefits like giving strength and flexibility, stress relief and even cure many diseases. Yoga is all about stretching our body in different forms and meditation. Yoga Poses like Surya Namaskar (Sun Salutation), Dhanurasana (Bow Pose), Bhujangasana (Cobra pose), Kapalabhati pranayama yoga and so many other effective yoga asanas helps in reducing our weight as well as our belly fat. Patience is the key to doing Yoga. Strong perseverance backed by the passion for doing yoga is a must. Hard work, dedication and a proper diet can lose our weight naturally. Losing weight is not hard, but we have to keep in mind that only controlling eating habits is not enough to lose weight. The article contains yoga pose names as well as yoga for beginners. It is all about doing them! We have to start physical exercising regularly in the morning and evening and control our eating habits too. So, begin practising yoga asanas for maintaining good health. For beginners, a warm-up or a stretch exercise is the first step. 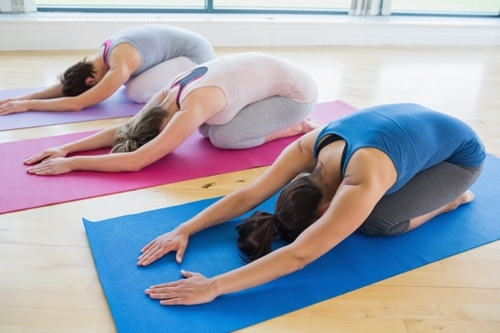 First, you need to find out the list stretching yoga asanas in yoga and their benefits. We have listed some of the best yoga exercises and positions with pictures that will help you perform them efficiently. 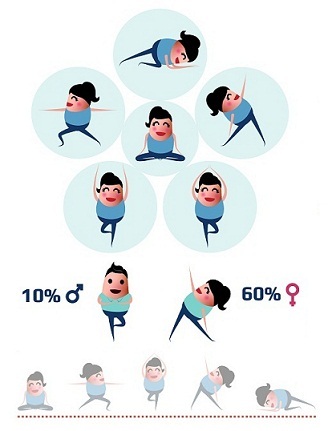 Men and women prefer yoga for a healthy life. Here we explain what the best and basic yoga asanas and details about them in English and Sanskrit with photos are. To start with yoga asanas, one should get started with the basic exercises first like slow neck stretches. It is recommended to perform few repetitions of this yogic slow neck stretches as it eases the neck tension and strain. 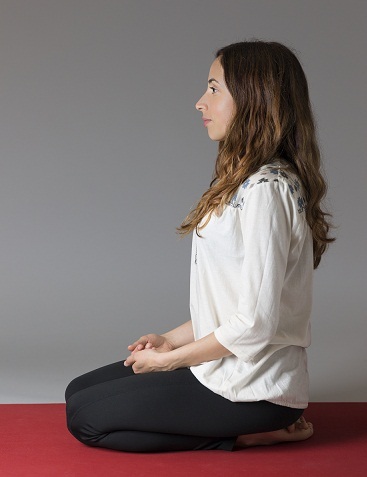 This basic yoga pose can be quickly done standing anywhere, just by sitting on your chair! What you should know before you do this Asana: While doing this Asana, your neck should be straight and not tilted forward or backwards and not bending on either side. 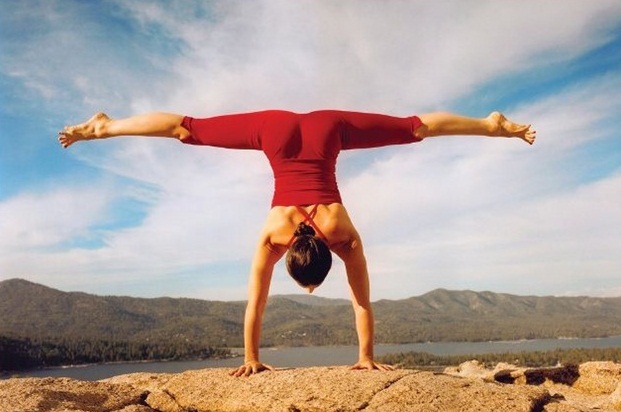 Tadasana is also known as mountain pose, and it is one of the best yoga asanas. Practising this yoga asana regularly every morning gives a good massage to our hands, back, spine and the whole body. This is the most recommended asana for increasing height as well. What you should know before you do this Asana: You should have had your meal at least 4-6 hours before doing this Asana. Uttanasana is a forward bending pose which relieves us from stress and anxiety. With the arm bind, this standing forward bend variation provides a deep shoulder stretch. By binding the hands, it also allows the arms to stretch and tighten the shoulders to relax. It also brings some blood back to the brain while giving a great stretch to the legs. What you should know before you do this Asana: This Asana should be performed empty stomach only. This trikonasana exercise stretches and strengthens the muscles along with improving the functions of our body. This is a good yoga exercise for pregnant women. It helps in reducing blood pressure, stress and anxiety and also improves the functions of the blood through the entire body. This simple yoga asana improves our balance & concentration power. This asana also removes fats from the waist and thighs. What you should know before you do this Asana: Like other Asanas, even for this asana, it is essential that your bowel is empty. What you should know before you do this Asana: You should not be doing this asana if you have migraine or headache problem. A full round of Surya Namaskar is considered to be two sets of the twelve poses, with a change in the second set where the opposing leg is moved first. It improves flexibility, strength, balance, reduces stress and anxiety, reduces symptoms of lower back pain, shortens labour and improves birth outcomes, and reduces sleep disturbances and hypertension. It also increases energy and decreases fatigue and are very beneficial for asthma & chronic diseases. This is a basic yoga asana to stretch your legs and reduce weight. 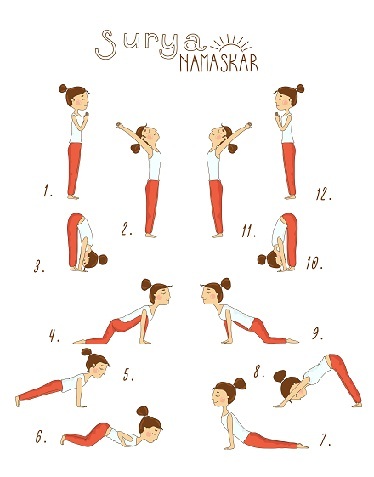 What you should know before you do this Asana: Always do warm up before beginning with Surya Namaskar. Kapalbhati pranayama yoga is the most recommended breathing exercise which cures our stomach disorder and loses weight. Practising 5 minutes Kapal Bhati pranayama regularly removes the toxins and increases metabolism. 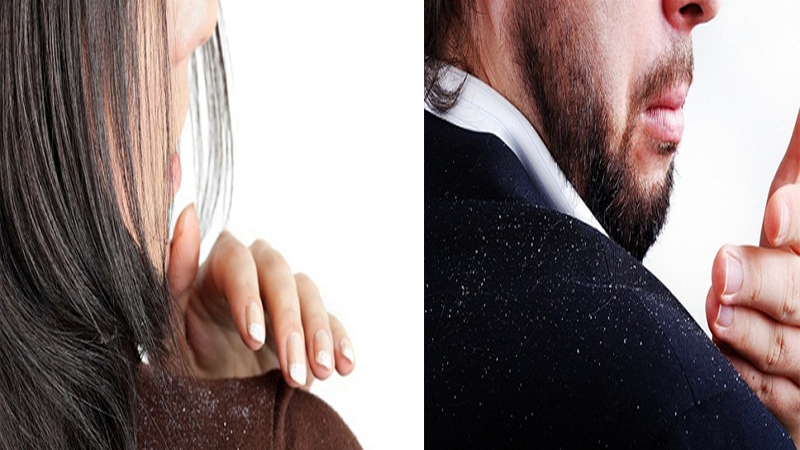 It also cures constipation, acidity, diabetes, Asthma and all kinds of Respiratory troubles, sinus and even hair loss. This one is a yoga pose effective in weight loss (mainly belly fats). When done regularly, it is rated as the most effective type of yoga asana. What you should know before you do this Asana: This is a relaxation asana and should be performed at the end of the exercise to relax the whole body. This yoga asana for beginners helps to open up the hips and ease sciatica discomfort that can be made worse by sitting for long periods. The sciatic nerve starts in the lower back and runs down both leg, and sciatic nerve pain can occur when the nerve is somehow compressed. Long commutes and sitting for long periods exacerbates it. This yoga asana helps in relaxing and it also an excellent way to increase side-to-side spinal flexibility. With regular practice of this yoga exercise every day one can relieve pain in the lower belly and lower back. Doing this yoga pose, can cure insomnia (sleeping disorder), spine problems and also improves concentration powers & mental balance. It increases the blood circulation in the brain and improves the brains functions and memory. Even people suffering from liver disease, poor blood circulation and headache should perform this yoga asana regularly. What you should know before you do this Asana: This Asana should be performed under strict supervision, or else it might cause serious injury. This yoga posture strengthens and cures back pain, and improves resistance power of the body. 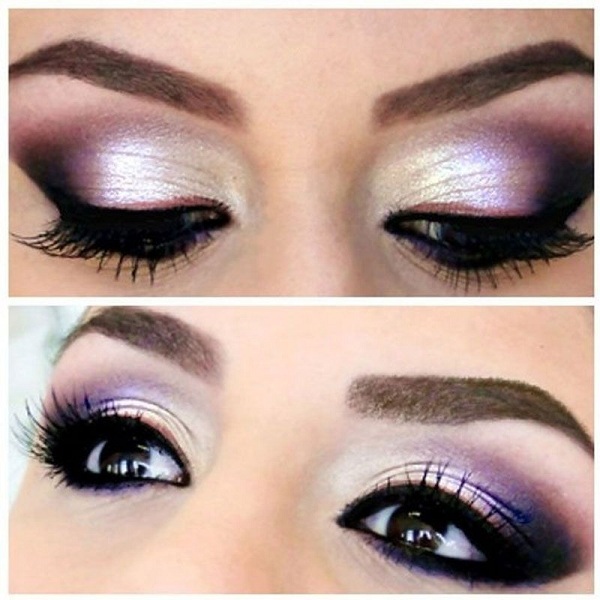 This also keeps our face bright and removes the dark circle. It helps in weight loss when practised regularly. It is also known to improve blood circulation, functions of digestion, controlling the blood sugar level and correcting the improper functioning of the pancreas. What you should know before you do this Asana: Make sure you are doing this empty exercise stomach only. Paschimottanaasana covers the stretching of the whole body from our head to heels. This asana is recommended especially for women after delivery to reduce belly fat and toning the abdominal-pelvic organs. It strengthens the back muscles as well as very useful for increasing height. It stretches the spine and brings more flexibility in our body. What you should know before you do this Asana: This asana should not be performed if front bending is a problem for you. Halasana is also known as Plough pose which strengthens our back muscles and gives flexibility. It cures indigestion and constipation as well as reduces stress. It stimulates the abdominal organs and cures abdominal problems. People suffering from diabetes should do this regularly. It helps to make spinal cord strong and flexible, strengthens the abdominal muscles, reduces stress, and cures the symptoms of menopause. What you should know before you do this Asana: Do this asana in supervision, or else you might fall prey to serious injuries. Half Plough Pose is a yoga asana that is similar to Uttanpadasana which is good for improving the functions of abdominal organs. This easy yoga asana stimulates abdominal organs very fast and cures constipation and indigestion. It also reduces belly fats and tones the thigh and hip muscles overall abdominal muscles. It cures stomach disorders and improves digestion, appetite, removes gases and is useful to cure arthritis and lumbar spondylitis. What you should know before you do this Asana: This is the best asana for a person facing digestive issues. Bhujangasana (cobra pose) gives an excellent result for those who want to lose weight and increase metabolism. This pose improves the function of the liver, kidney, pancreas and gall bladder. It cures insomnia (sleeping disorder), spine problems, indigestion and constipation naturally. Those suffering from liver disease, headache, poor blood circulation, can be cured with this asana. What you should know before you do this Asana: Perform this asana empty stomach only. Pavanamuktasana is really effective yoga position in removing gases from the stomach and improving the digestive system. This asana is very good for all the abdominal organs; it also cures acidity and reduces fat. It strengthens your back muscle and cures back pain. For getting a flat stomach, one should perform this asana regularly. This is one of the simplest yoga poses for beginners. What you should know before you do this Asana: This asana is a must for the ones having gastric issues. Uttana padasana, the raised leg pose is beneficial for those having back pain and stomach disorder. It is good for strengthening the abdominal muscles. We can practice this yoga asana by raising one leg at a time as well. For getting flat and strong abs, this asana works like magic. It is helpful for those who suffer from gas problems, arthritis pain, heart problems and waist & back pain. We generally tend to forget about doing any exercise for strengthening our legs as we care more on our upper body part appearance. But we spend most of the hours on our legs only, so we should start workout meant for strengthens our legs. This yoga pose, setu bandhasana strengthens the legs, back neck and chest. It provides great balancing power to our body. What you should know before you do this Asana: Avoid doing this asana during pregnancy. Vajrasana is the simplest of all the asanas of yoga which can be practised after lunch or dinner as well. And vajrasana is also known as ‘diamond pose’ which is best for practising breathing exercises and meditation. The person suffering from joint pain should avoid this asana. This yoga asana calms the mind and bring stability in mind, cures constipation, stomach disorder, acidity, and increases digestion process. Those suffering from gas problems can practice it immediately after lunch or dinner. This asana acts as a pain killer for arthritis patients. Ardha matsyendrasana increases oxygen supply to the lungs and increases the flexibility & the functions of vertebrae of the spine. It also stretches the back muscles and spine and releases stiffness of hip joints. It is one of the perfect Yoga Pose which is also helpful in the treatment of diabetes, constipation, spinal problems, cervical spondylitis, and urinary tract disorder. Happy Baby asana of yoga for beginners as well. This yoga asana provides an excellent stretch for the hip joints, which can get stiff from too much sitting. This pose is mentally calming while physically stimulating which makes it a perfect exercise for a day when we have a lot on our schedule. This pose will elongate the lower back and allow the hips to stretch. It is one of the basic yoga asanas to do. What you should know before you do this Asana: This is a relaxation asana which must be performed towards the end of the exercise. This yoga pose is very simple yet calming pose which we can do in bed too. It is an excellent yoga exercise for those suffering from back pain as it stretches and relaxes the spine. It also stretches and strengthens the muscle of hips, thighs and ankles. Pregnant women and those suffering from high blood pressure should avoid doing Balasana. What you should know before you do this Asana: Pregnant women and those suffering from high blood pressure should avoid doing Balasana. This asana is all about lying down like a corpse. This yoga asana is quite versatile asana and doing it before bed helps in emptying your thoughts so they don’t keep you up or night, or use the time in the morning to set an intention for the day ahead. This is one of the best yoga postures that will help you de-stress from all the tension you hold, so that we can have a good tight sleep. This pose looks like a soldier in the position of war so it is called as Virabhadrasana (Warrior Pose). This is an excellent yoga position for pregnant women which gives flexibility to the entire body and strengthens the legs, arms, lower back and tones the lower body. It also helps in increasing the stamina, concentration power and balance of our body. It relieves us from the pain during the menstrual period. While practice this pose our body looks like the shape of the camel so it is called as Ustrasana. This yoga asana is especially good for a back problem, relaxing mind, blood circulation, respiratory system, endocrine and nervous system. It helps to increase chest size and lungs capacity, brings flexibility in the chest, abdomen and neck. It is beneficial for asthma patient and helps in reducing fats from the stomach. This asana may look like a lot of twist and turnings exercise, but it is not that hard to perform. With regular practice of this yoga poses it helps in reducing extra fats in the thighs & arms. It also improves the balance of our body. This is one of the most excellent yoga asanas for both men and women. Natarajasana is also known as the lord of dance pose as it resembles its posture. This pose helps to improve the balance of the body, concentration. It strengthens the muscles of the hip, thighs and chest. It also helps in reducing weight and improves our posture and balance. This asana is also called as a boat yoga pose. Naukasana helps to strengthen the lungs, liver and pancreas. This also helps to increase the circulation of blood and maintain the sugar level. It strengthens the muscles of thigh, hips, necks and shoulder and helps in reducing belly fats. It also improves the functioning of the kidney, thyroids and the prostate glands. This cat pose is an excellent stretch in a yoga workout. It produces flexibility in our spine and releases us from back pain. It improves our blood circulation and digestion power. This workout is one of the best yoga poses and also tones our abdomen and helps in relaxing our mind. Take a look at the yoga photo above to get a clear picture. This asana is good for stretching the body parts, but we should not stretch beyond our capacity. This asana gives a good massage to our spine, lower back, hips, legs & hands. It also helps in reducing the fats in the specified areas of the body. This is one of the simplest yoga asanas where you simply just have to stretch yourself. Stand straight and stretch your arms above the head. Try to stretch right from the abdomen and tilt backwards to make a part of an arch. This way you can stretch your whole torso right from the abdomen till the tip of your arms. This is also known as the raised arm pose and this yoga asana helps to increase oxygen intake and stretch muscles. This is one of the yoga asanas which you can practice at any time of the day you want. It is very effective in energy booster and also enhances better blood circulation. It stretches to almost all the muscles of the body and can bring to your body an instant glow due to the blood circulation refreshment. In this you just have to inhale, block it as you raise your arms above your head and then bend forward to touch your ankles and hands put in below the feet. What you should know before you do this Asana: Pregnant ladies are not allowed to do this asana. This one is another version of the Padottan asana and is very effective yoga exercise for petty illness traits which count headaches and body aches. This asana with regular practice can also cure some amount of depression that you are going through. 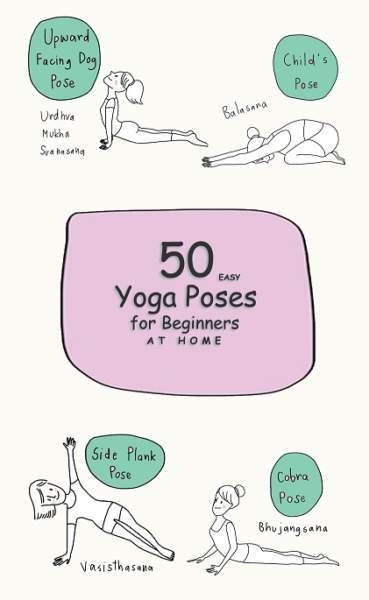 You can make this a part of the easy yoga for beginners list because it is really simple. You have to spread your legs first and then with both hands bend down to touch the ground. What you should know before you do this Asana: If doing it for the first time do it in proper supervision to avoid fall or injury. This is one more of the easy yoga poses and is often practised as a part of the SuryaNamaskar session. It is to be best practised in the open air, early in the morning just suitable for its name. This is because of even trees like open air and the sunlight which they receive early in the morning. This yoga posture helps to increase focus and concentration. For this you need to stand on one foot while the other is locked behind the knees and your hands are raised above your head in a prayer pose. If you think you prefer yoga asanas to tone up all the parts of your body, then you must have this one in your list of yoga poses which you are to practice daily. Yoga is a discipline, and so you have to keep regularity when you practice it. For this you need to learn a back arch but not a full one. Stand in front of a raised platform or a low table and then bend backwards to touch the same. What you should know before you do this Asana: Do not try this Asana if you had any neck, shoulder or spine injury. This is one of the yoga exercises names which does come in any list you check. We now already know about the Virabhadrasana or simply the warrior pose. This is just the reverse of it. Here we turn right on the reverse side of our bodies giving it a slight twist. This one is very useful in toning waist and abdomen muscles and also cures spine pains and other issues such as these. Before, we have read about the Half wheel pose or the Ardha chakrasana which is more of a part of easy yoga asana for beginners. In this it is at the next level and is a more advanced posture. Here you have to stand and raise your hands as you tilt back to slowly form a back arch. This is very useful in healing spine problems as it stretches all the back muscles of your body. This posture also helps to maintain a balance in the digestive system. This is one of the most advantage of yoga asanas with excellent health benefits. What you should know before you do this Asana: If trying for the first time take some assistance or it might cause you serious injury. This is yet another of the yoga asana which is helpful to make your back fitter. This is because the back and spine of every person is most prone to stress. We sit for long hours while working and the spine is the first to get affected. With this posture practice regularly you can cure all your spine and back problems and also sciatica pain. What you should know before you do this Asana: If you are a Vertigo patient then be careful or avoid altogether. You can simply select this yoga asana from this list of effective yoga poses. This is also known as a downward facing dog posture. It is when you bend almost completely in front with only your hip portion pointing upwards. This yoga posture is very helpful and is considered as the yoga pose for women. It is because the regular practice of this can cure symptoms of menopause and can also balance your period cycle. In general this asana also helps to balance the functioning of the digestive system thus keeping away acidity and gas. What you should know before you do this Asana: Avoid doing this asana during pregnancy, or you have neck or back problem. This yoga asana is also known as the static tiger pose and is another one to cure back pain issues. This especially focuses on the lower back area and stretches muscles and tissues over there causing a relief for pain in the particular area. Here you will first have to take the position of a four-legged animal or like you want to crawl. Now stretch forward and lift the alternative arm and leg and stretch it straight. This is one of the yoga asana names which are usually a part of the advanced stage of yoga practice. This one needs a lot of dedication, flexibility and strength for sure. You have to balance your whole body on your palms and lift yourself to again bend your legs to make a formation which results like the body of a crane. This yoga pose is very helpful in toning your arms as well as removing fat from the abdomen portion. What you should know before you do this Asana: This asana is all about balancing on your arms the center of gravity,and so any haste can be seriously injurious. This is one of the very popular exercise in the series of yoga asanas for beginners. It is because this is not really hard and is just a relaxing posture which anyone can do with ease. The only thing is that you have to know the breathing process which is the most important thing when it comes to yoga asanas. This asana is especially helpful in relaxing muscles and relieving pains such as the lower back pains and those due to sciatica. What you should know before you do this Asana: If you have any neck injury avoid giving pressure on your neck. This is one of the multi-advantageous yoga asana because this is helpful in pain relieving as well as works very well when it comes to weight loss. Here you need to put both your hands straight while lying on your front. Now lift the legs straight and together up and breathe well. Make sure you are not pressuring your hands. This boosts metabolism due to which fat formation is prevented and is also helpful for indigestion. This is a body toning yoga pose which is not very difficult. This yoga asana you need to try if you think you need to tone down your hips and buttocks. For this you will have to lie down on your stomach and now lift yourself up till your breasts and again from the back you have to twist back both your legs from the knees so that you can hold them. This gives you a nice stretch and thus tones the parts. This is an advanced yoga performed for particular reasons. This can be performed by both men and women. This is especially helpful for men because it eases sexual problems resulting in better conjugal relationships. The practice of Gomukhasana also helps to cure hernia. This one is again in an advanced stage of yoga asanas and is helpful for joint pains and problems. The practice of this posture yoga eventually makes you more flexible and also eases all the parts of your body. The practice of Virasana also increases metabolism in the body and enhances blood circulation even to the joints. This asana can show the instant glow in your face which is a result of proper blood circulation. Also, known as the recline pose of the hero, this one is not a very difficult posture to practice. 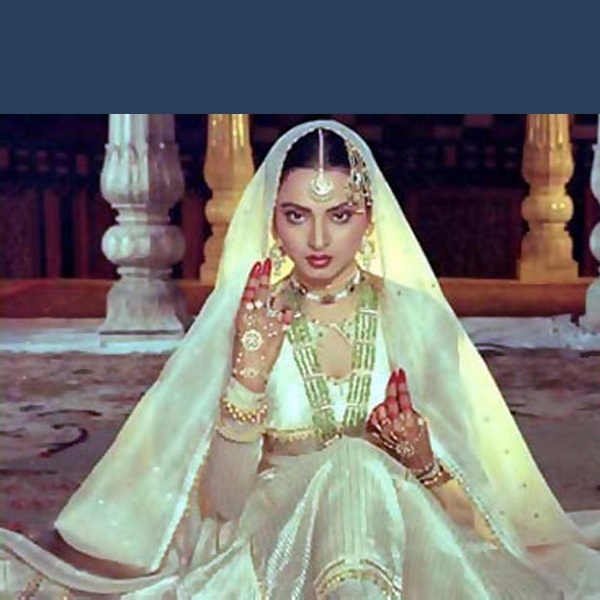 In this you just have to do Vajrasana and lie down with your legs fixed in the position. This type of yoga asanas is very helpful for digestion system and its proper functioning. Also, this yoga pose prevents excessive fat from depositing in the body especially the abdomen area. What you should know before you do this Asana: If you have any neck injury avoid doing this asana. This posture is also known as the plank pose and can be practice by anyone because it is really very easy. Make sure you start by doing this at least ten times and then gradually increase to 15 and then 20 times. This looks simple but is very effective in toning a number of body parts. This includes the hips, waist, abdomen, arms and shoulders. Practice this yoga pose every day if you want to develop toned abs. Better known as the side plank yoga pose and a version of the previous one, here you will have to raise your body by resting on one hand which will lie flat till the elbow. Lift and put another hand on your waist in a smart posture. This is helpful in toning the extra fat handles which make your waist look bad and are stubborn. Also, known as the lizard pose, this is very helpful in releasing stress, fatigue and tension. This pose sure looks complicated but is not so. You can do this to rather relax your body after a hard day of work. It is instantly effective and very, very calming for the body. You can make your body strong and healthy by using above all the different types of yoga asanas and get mental peace as well. Yoga is a therapy for the mind and body as we already have known and there are several yoga poses. It becomes increasingly advantageous if one practice daily, appropriately. Why Yoga? Doing yoga is very good for health. However, it is very important that you do it right. It is always advisable that before doing yoga at home, one must learn the proper technique of how to do yoga asanas. There is a great probability that if the asanas are done wrong, then it can adversely affect health. Perform yoga in complete serenity. This is one of the vital requirement before beginning yoga. The choice of clothes that you wear will greatly impact your asanas. 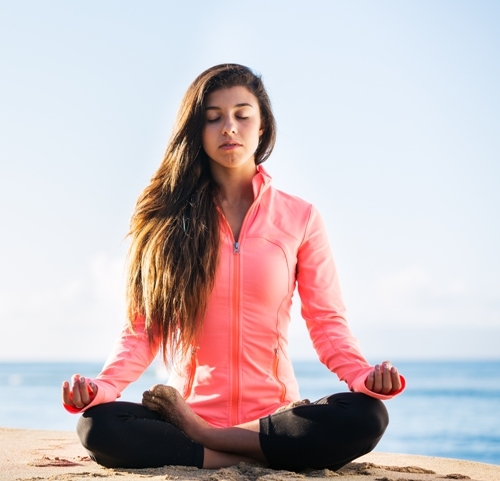 Choose wearing comfortable clothes while doing yoga. The types of yoga poses that you wish to do will decide the clothes that you should be wearing. Never do yoga on bare land. Use a yoga mat. Avoid meals before doing yoga or keep a sufficient time difference between meal time and yoga time. If you have some abdominal issues then asanas that include any postures that require twisting, swirling or straining the abdominal muscles then refrain doing such asanas. In the case of acid reflux, any asanas that require the head to be lower than the stomach in short any inversion asanas should be strictly avoided. For back pain, patients kindly refer your doctor for exercises that you can do and the ones that you should be avoided as it may aggravate the situation. Glaucoma complications – in glaucoma there is an extra pressure behind the eyeballs, and it can eventually lead to loss of eyesight. 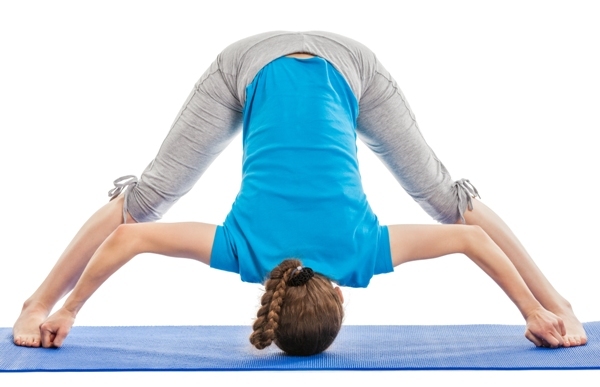 Certain yoga asanas such as headstand, handstand, shoulder stand which increases the pressure on the eyes can complicate the situation. For blood pressure patients, forceful breathing and various types of yoga poses that involve inversions can aggravate the situation. Advanced yoga asanas should be practised under proper guidance, or else it may lead to a serious back injury. Muscle pull or muscle strain is a common side effect of yoga which is caused due to improper postures. Yoga is a wonderful thing, and it must be a part of your lifestyle to have a happy and healthy life. However, it is very important that you learn correctly how to do yoga asanas before practising them at home without guidance. Yoga is all about postures, and a perfect posture is very important to have the asanas work in the right way for you as it should have to. 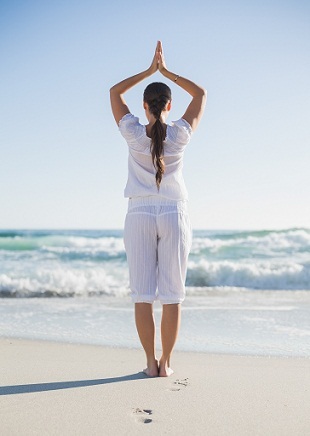 For best results conclude your exercise with 5 minutes of yoga meditation and see your energy levels boost up. Review: Ana Forrest is the creator of the Forrest Yoga back in 1982 which is guided by the principles namely Breath, Strength, Integrity as well as Spirit. Guided by the elements of Ashtanga Vinyasa, her Forrest Yoga is known for its core strength, intensity and long hold of positions. Ana Forrest became a certified yoga instructor at the age of 18 and is Internationally renowned for her healings and her work in Yoga. Review: Briohny Smith is an LA-based Yoga Instructor and is renowned worldwide as Inversion goddess. She first learned Yoga back in 1999 and now is an instructor herself and teaches yoga under her trademark Fit Flow Yoga in LA. She travels worldwide to carry on the classes and retreats. Review: Yogini Janet Stone began her journey of yoga training in 1996 in India. She learned Vinyasa Yoga and her teachings are vigorous and are a wonderful blend of Vinyasa long with chanting, breath, awareness, movement,and humour. Janet has been featured in various publications such as Elephant Journal, Yoga Journal and Yoga Flow Magazine. She currently leads the 200-hour Vinyasa Teacher Training program and conducts various workshops and retreats in the US, India, and Mexico. Review: Kino MacGregor first began to learn Ashtanga at the age of 19,and after three years of practice she spent seven years of her life in exploring the various learning of Ashtanga. At the age of 29, she received the certificate to teach Ashtanga Yoga from its creator Shri K. PattabhiJois. Her Youtube followership is close to 5 million views, and she has even authored 2 Ashtanga Books and produced 6 Ashtanga yoga DVDs. She conducts her training programs all over Asia. 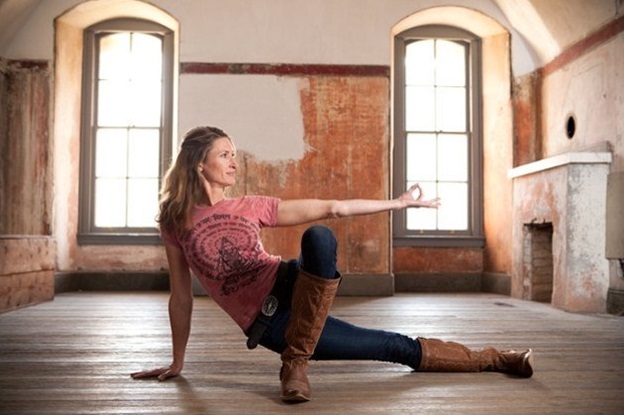 Review: Sadie is a Rockstar Yoga teacher and has a huge fan following. She is a great trainer and never falls short of sharing her insights with her followers in practising yoga. And she is a founder of Core Strength Vinyasa Yoga and has spent 19 years of her life in studying nutrition, Philosophy, yogic discipline and anatomy. She is an author of various yoga books and writes for International yoga and wellness publications. All of the Yoga asanas, especially for Beginners and Surya Namaskara poses are favourite of mine, make a great benefit for metabolism and the health at all. Excellent collection of moves. this is really helpfull. I will try everyday on morning.